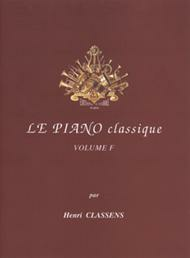 Composed by Henri Classens. Classical. Score. 36 pages. Editions Combre #P02879. 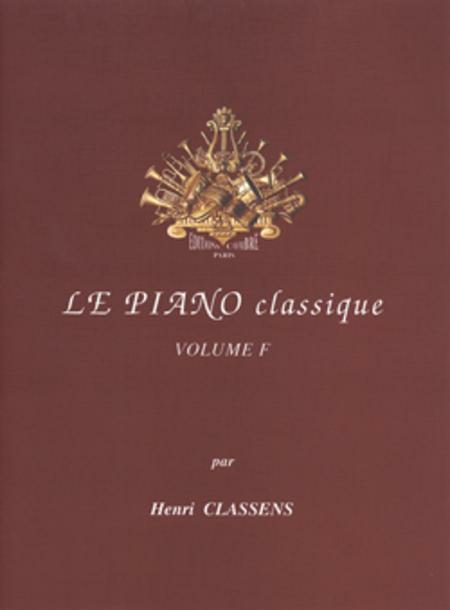 Published by Editions Combre (LM.P02879). BACH C.P.E. : Gigue (Sonate en Mi min.) - Menuet (Sonate en Mi min.) - BACH J.Ch. : Finale (Sonate No. 4) - BACH W.F. : Allegro - Scherzo - HAENDEL : Aria - Prelude - HAYDN : Andante (Sonate No. 8) - Finale (Sonate No. 26) - KIRCHHOFF : Allemande - Gavotte - KIMBERGER : La Lutine - Passepied - KREBS : Bourree - KUHNAU : Bourree - Prelude - MARPURG : La Voltigeuse - MOZART L. : Menuet - La Chasse - MOZART W.A. : Landler No. 2 - Landler No. 6 - TELEMANN : Fughetta a tre voci - WAGENSEIL : Allegro - Andante.